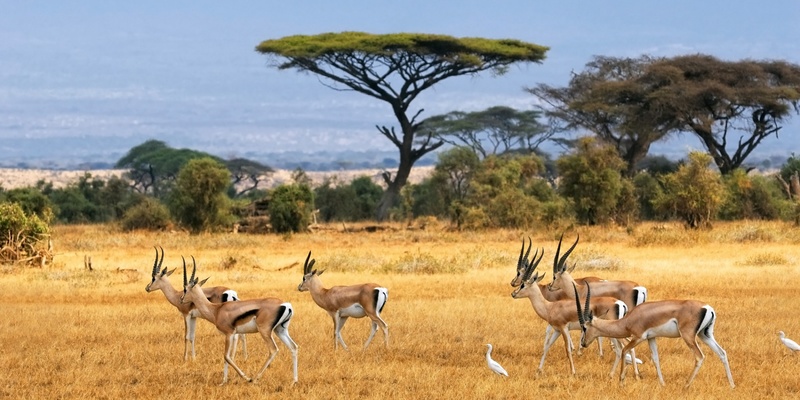 Although a landlocked country, Botswana is one of the leading tourist destinations in Africa. One of the reasons for this is because Botswana is home to one of the seven natural wonders of the world, the Okavango Delta. Tourists from all over the world flock into the country to see and experience these natural wonders among many other beautiful attractions found here. While more than 60% of Botswana is arid, the country still brags of having wildlife roaming all over, with some of the largest elephants in the world found here. Many tourists have a Botswana Safari on their bucket list, mainly to participate in outdoor activities, visit national parks to watch animals in their wild habitat, and to enjoy local delicacies and other goodies. As mentioned earlier, the Okavango Delta was declared a World Heritage Site by the UNESCO and is the leading tourist attraction in the country. One of the features that make the Okavango Delta unique is the fact that it is one of the largest inland deltas in the world. The Delta is fed by the Okavango River and is the primary source of life for wildlife here. Although more than 11 cubic kilometers of water flow into the delta, much of it (60%) is lost through transpiration, evaporation, with the remaining percolating into the aquifer. It is also within the delta that you will find Lake Ngami, home to hundreds of hippos and crocodiles. 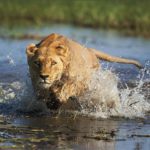 With wild animals (including the Big Five) coming to the Delta to find food and water, the Okavango at times attract the largest groups of wildlife together. The marula fruit, which is the key ingredient for the Amarula drink, is also found in Delta. Many people and especially tourists are fascinated by animals (giraffes, elephants, monkeys, rhinos, hippos, gazelles, etc.) that eat the fruit only to get drunk after having their full. Watching monkeys get hangovers the next day is one of the fun parts of visiting the Okavango Delta. You can watch much of the drama here at Al Fresco slumber parties that offer sleep-out experiences. 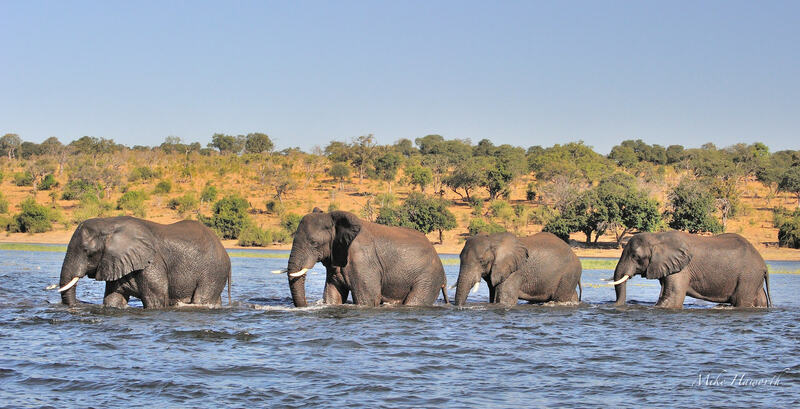 Covering more than 10,000 square kilometers, Chobe National Parks is the 2nd largest park in the country. The park supports a wide diversity of wildlife as it is enriched with savanna grasslands, Savuti Rivers, marshlands, and floodplains. The park is home to elephants, zebras, giraffes, wildebeests, hyenas, lions, leopards, and waterbucks among many others. Many tourists come here to see and appreciate nature and to see wild life in action. If you love and appreciate nature, you should then consider visiting Victoria Falls while still in Botswana. While the falls may be a wonder, most tourists love coming here to have a dine and up-close encounter with the largest land mammal in the world, the Okavango Elephants. The fun part about visiting Victoria Falls lounges is that these mammals keep their cool while in the company of humans, meaning you can take an elephant ride, as well as get the opportunity to feed them. The largest population of elephants is also found around the Victoria Falls, hence, a must-visit place while touring the country and its neighbors. The Makgadikgadi pan is one of the largest salt pans in the world. The salt pan covers a larger area than the whole of Switzerland. Tourists and geologists from far and wide come to Botswana just to see the vast desert of salt and sand. Although the Makgadikgadi salt pan extends in more than 4900 square kilometers, the region contains some sandy deserts in between. The only vegetation that can survive the harsh conditions in the Makgadikgadi is blue-green algae and a few kinds of grass. Another bewildering fact about the Makgadikgadi is that baobab trees thrive remarkably well here, with one of the baobabs serving as a post office in early 19th century. The salt pan is not entirely dry as it still supports some wildlife as well. 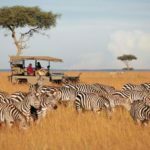 The Makgadikgadi is home to some of the largest zebra populations in the world, wildebeests, lions, leopards, jackals, hyenas, and flamingoes among many other migratory birds. Most of these animals come here during the rainy season, and then retreat to the Okavango basin during the dry season. Other safari destinations in Botswana include Central Kalahari Game Reserve, Tuli Block, and Moremi Game Reserve. You also get to taste local delicacies and cuisines such as boerewors, Mopani worms, and pap.